The ultimate example of ripened fruit is the banana, but in recent years, the supply of ready-to-eat fruit has increased. Mangoes and avocados are two of the most important exotics that are offered ripened most often. Roughly 15 years ago, no one had heard of ripened exotics. Have we mastered ripening? Hirich Khalaf, ripener for Nature’s Pride, and Jan Willem Verloop, marketing manager, talk about their experience in ripening exotics and the challenges still ahead of the sector. In 2005, Nature’s Pride was the first European company that started ripening fruit. “That was exotic. We experimented with the ripening process,” says Jan Willem. The boxes of avocados were put in front of the heater, as it were, to find out how fruit ripens. “At first we were only familiar with the ripening process of bananas. We copied that,” Hirich remembers. As the ripeners became more familiar with the products, the process was adjusted. “I laugh about the way we worked ten years ago,” the ripener admits. However, these years were essential for experimenting, testing and gaining experience. 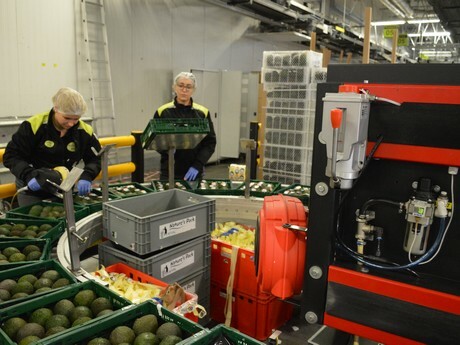 Thirteen years later, about four million avocados and one million mangoes leave the 50 ripening chambers of Nature’s Pride in Maasdijk, the Netherlands, for consumers throughout Europe. “Our ripening process is very advanced, but there are major differences between developed and less developed regions and growers,” Hirich says. He has 11 years of experience in ripening exotics. 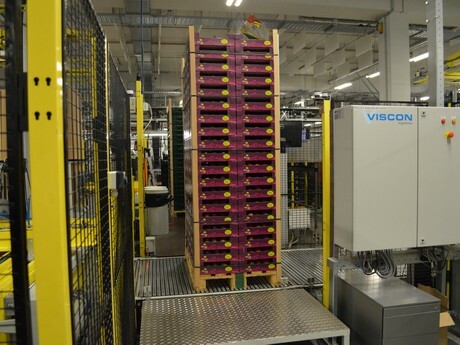 “When a product arrives in a good state, we have a good basis to work with. But if a product has been picked or packed wrong, we can’t ripen the product properly. That’s why we carefully select the growers we work with.” This also illustrates the complexity of ripening. It’s not just about what happens in the ripening chamber, it starts much earlier than that, at the source. The number of factors to be considered in the ripening process is practically infinite and can be summarised in four terms: origin, time in the season, packaging and variety. A lot of factors play parts within these terms. “Looking just at mangoes, there are more than 1,000 varieties globally,” Hirich explains. “Of the mangoes we sell, 80 to 85 per cent is Keitt or Kent.” India is the homeland of the mango , yet that country plays a small part on the global market. “Quality of those mangoes isn’t good enough for export.” Peru, Israel, Spain, Brazil, Ivory Coast and the Dominican Republic are some of the countries that can export mangoes. The harvest of about one hectare can fit into one container. From that moment, the fruit hangs around together. Upon arrival in Maasdijk, the fruit is placed in one ripening chamber. The conditions of the fruit and the atmosphere in the reefers are always different. That’s why Hirich keeps batches strictly separated. The circumstances in the container are of influence on the ripening process. “We keep it small, 20 to 24 pallets per chamber,” he explains. The packaging is mostly of influence on the air circulation in the ripening chamber. 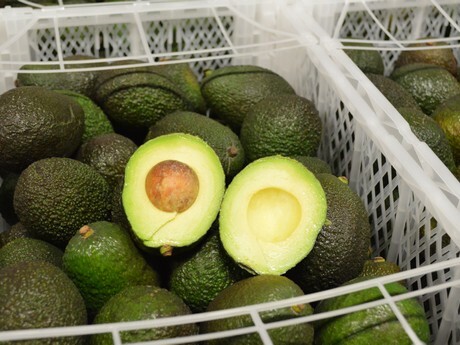 For avocados, Nature’s Pride switched to crates for ten kilos of avocados. The open crates guarantee a better air circulation. 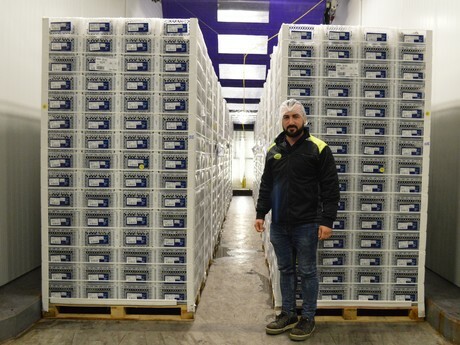 Additional advantage: 3,000 more kilos can fit into a container compared to when the avocados are placed in boxes. For mangoes, they’re still looking into the best option. The skin of the fruit is more sensitive, so that a standard crate isn’t an option. Hirich explains that ripening chambers with multiple layers, as are used for bananas, aren’t an option either, because the ripening process is determined by a lot of factors. Because of all of these factors, the ripening process tends to last between four and seven days. “It’s often said that ripening takes five days, but you need an additional ripening day particularly at the start of the season,” Hirich continues. The ingredients of the ripening process are temperature, atmospheric humidity, air circulation and ethylene. Ethylene is only used on the first day of ripening avocados. Ripening avocados emit ethylene, but not all avocados emit the same amount. To equalise the level in the entire chamber, additional ethylene is added. “We don’t use ethylene to speed up the process,” the ripener emphasises. No ethylene is used in the ripening of mangoes. The temperature is dropped to 20 degrees Celsius on the first day. In the following days, the temperature is gradually dropped to the ideal storage temperature. “That’s better for the product’s shelf life,” Jan Willem adds. After the days in the ripening chamber, the fruit is sorted. 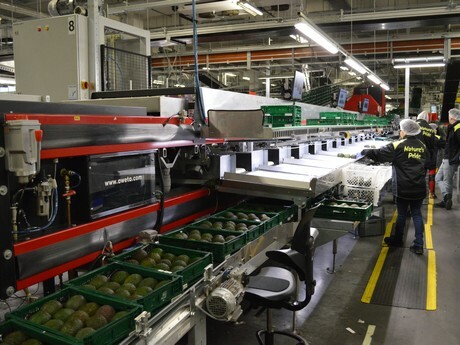 “All the fruit traverses our Aweta sorting lines, where it can be checked for external and internal quality,” he continues. “We have to supply a good product to our customers.” Depending on the reason for rejection, the rejected avocados and mangoes are returned to the ripening chamber, to industry for processing, to the food bank or, in the worst case, to the bio-fermenter. The quality of the ripened fruit is essential to let the market grow. Avocado is consumed in just 30 per cent of the Dutch households. The market is growing, in part because avocado is seen as a vegetable instead of a fruit more often. “When new customers have a negative experience, we’ll lose them,” Jan Willem emphasises the importance of quality. He also points out that Dutch avocado consumers buy an average of 11 avocados per year.